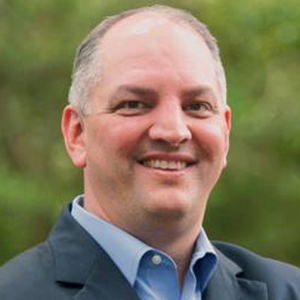 Rep. John Bel Edwards, the Democratic candidate for governor, will address the Chamber of Commerce of East Baton Rouge at 12 noon on Tuesday, April 28 at Café Américain, 7521 Jefferson Hwy., Baton Rouge. The event will begin with a reception at 11:30 a.m. and continue with lunch at 12 noon. It is open to business owners, guests, and members of the media. Reservations are not necessary. Lunch is $17, payable to the restaurant. Lunch is complimentary for members of the media. Rep. Edwards is an attorney in Amite, LA. He earned an engineering degree from the United States Military Academy at West Point where he was on the Dean’s List and served for eight years as a U.S. Army Airborne Ranger. He earned a law degree from LSU Law School, where he was a member of Order of the Coif. He is chairman of the Democratic caucus in the Louisiana House of Representatives. He is married to his high school sweetheart, and they have three children. The Democratic Party of Louisiana has endorsed his candidacy for governor in the Oct. 24 primary.